إن فندق Airport Travel Air Motel بموقعه الممتاز في مطار أوكلاند هو نقطة انطلاق جيدة لنزهاتك في أوكلاند. إن موقعه الجيد الذي يبعد 14. Km فقط عن مركز المدينة يساعد النزلاء على الاستمتاع بمعالم المدينة ونشاطاتها. 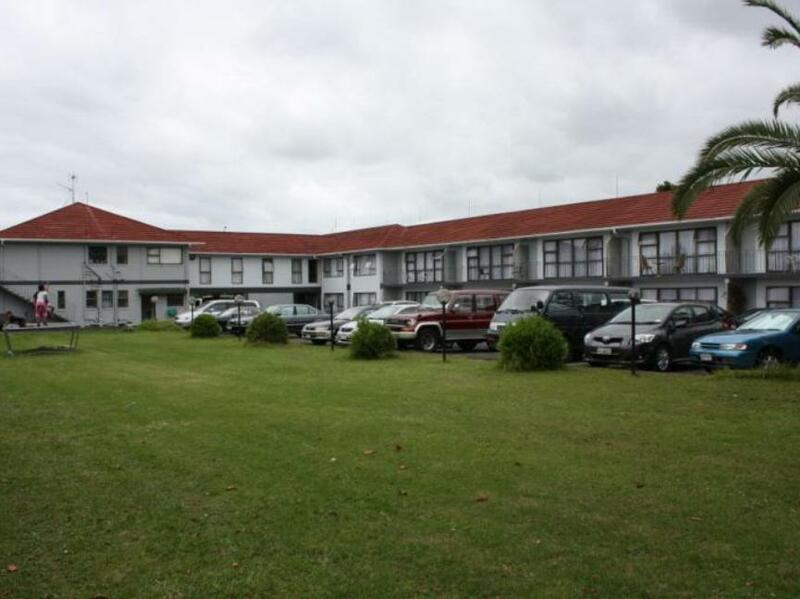 بالنسبة لمن يريد الخروج، هذه بعض المعالم السياحية المتوفرة للزوار مانجيرا جبال, Hillcrest Hospital, Mangere East Medical Centre. إن Airport Travel Air Motel حريص على توفير الراحة للنزلاء، فلا يوفر الموظفون جهداً في تقديم أفضل الخدمات وضمان حسن الاستقبال. إن خدمة الغرف على مدار الساعة, واي فاي مجاني في جميع الغرف, مكتب الاستقبال على مدار الساعة, تسجيل وصول/خروج سريع, تخزين الأمتعة هي جزء فقط من الخدمات التي تميز Airport Travel Air Motel عن باقي الفنادق في المدينة. ادخل إلى واحدة من الغرف 20 وتخلص من عناء نهار طويل بمساعدة مجموعة كبيرة من الخدمات كمثل تلفزيون بشاشة مسطحة, اتصال لاسلكي بالإنترنت, اتصال لاسلكي بشبكة الإنترنت (مجاني), غرف لغير المدخنين, تدفئة الموجودة في بعض الغرف. يمكنك الاستمتاع بالأجواء المريحة التي تقدمها مسار جولف - ضمن 3 كم, كرة الطاولة, حديقة طوال النهار. إن كنت تتطلع إلى إقامة مريحة وهادئة في أوكلاند، فستجد في Airport Travel Air Motel بيتك الثاني. This motel was fine. We only stayed from 14.00 to 21.00 as we just wanted to rest before flying back to Europe. The room was a very good size and comfortable. Good quality beds and linen. Airport transfer was free and worked great. The room was big and clean, good place to stay as the hotel provides free shuttle service. The bathroom is also large and there was a kitchen provided. Bed was comfortable and staff is polite. This hotel is value for money and i will visit again on days before my flights as it is very convenient. the place is owned by a korean family who are really hospitable. 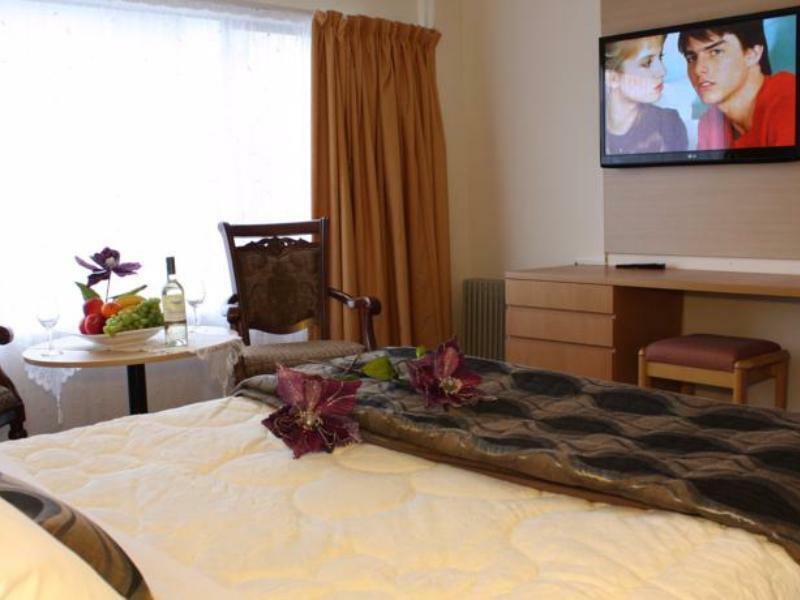 the rooms are very clean and spacious and have full kitchen faiclities. nice lcd tv and free wifi inside the room. car can be parked right in front of the hotel. Bed, linen and pillows were great. Bedding kept us warm despite major cold snap in NZ that closed highways. Plenty of room and good size Tv. Microwave a welcome bonus for budget price. They provided a hairdryer on request. My only issue with property was that a "guest" whose stay seemed to be more than a motel guest, was smoking weed outside his room. Around midnight the police quietly attended the place. Not sure what took place. It was quiet. Noise from other rooms was unavoidable but, considering the price, would recommend for those that need proximity to Auckland airport. Owner was great but just be vigilant. Very good value. If you are trying to decide where to stay for one night, this will be a good choice. Free airport shuttle with courtesy phone at the information booth in airport. 5 mins from airport. Early morning shuttle from 4am. Secure car parking. Perfect for overnight stay. Kitchenette with tea and coffee, microwave, crockery and cutlery. Elevated shower base up one step, need to consider if any mobility issues, might be other options. Fresh décor, clean white sheets and comfy king sized bed in the bedroom / dining. Full sized dining table, TV, fan. A little tired but clean in the kitchenette. Bathroom tired but clean. Lobby looks tired and dark but the room itself is much fresher. Staff courteous. Plenty of meal options (take away), plus pick up and drop off service by nearby restaurants. Easy way to arrive, eat, sleep and return to airport. 12 of us need to go to airport in early morning, have been promised to pick us at 4 am with two shuttle, but unfortunately only one shuttle arrived, able to send only 5 person at one time. when we call their boss and request for an extra shuttle for the rest of 8 person ( we might be late for our flight if we keep on waiting for that shuttle to return), the boss just simply answer ' that is your business if you missed the flight'. Thank you for a great answer for you customer. Excellent pick up from the airport, excellent room, very clean, excellent return to the airport. Shuttle runs on the hour. Not much outside and around the motel, no shops, pubs etc. but excellent for an overnight stay before flying out the next day. I did have a problem at check in. I booked and paid on Agoda but was asked to sign another credit card receipt. I refused and agreed to take it up with the manager the next morning. The issue was quickly resolved. I had been asked to sign a receipt that wasn't mine! However it could have turned ugly and I was only allowed to stay as I had my printed confirmation and proof of payment from Agoda. It meant I was a bit stresses through the night knowing that I had a disagreement to resolve before I could check out and get the ride to the airport. The issue was resolved in a matter of seconds, but make sure you have your confirmation and proof of payment with you incase the Motel makes the same mistake again. Hopefully it won't. Overall I definitely recommend staying here for airport convenience. 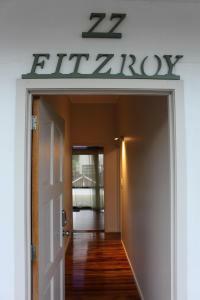 Apart from a rude welcome from one of the staff we found this a good place to stay when flying from Auckland airport. Reasonably priced and quiet a good one night choice. Appreciated the airport transfer which took just 10 minutes. After a long and tiring day of travel with another of the same sort of thing coming up I just wanted somewhere quiet to shower & sleep. The bed was comfy, the shower warm & clean. The motel was offering much more than this including a kitchenette, TV & lots of space but I didn't use this. Location. Bed comfort. Free airport shuttle. This was a great place to spend the night between flights. 15 minutes to the airport, and the free shuttle was a real bonus and easy to organise. It's great having a 24 hour petrol station 200m away which sells food for a late dinner. We stayed in a studio room which was large and freshly decorated. The bed is one of the best I have stayed in. Staff were friendly enough. I would not hesitate to stay again. We booked this hotel as we had a short stop over between flights. We where able to get extra time as they do a day rate 4hrs for $40. The free airport transfers at anytime was great. Don't expect luxury though as it is quite dated. We wanted somewhere where we could cater for ourselves close to the airport and public transport into the city and this place provided these. There was a big supermarket just 15 mins walk away and a bus stop right outside. The unit was large, airy and comfortable. Good as usual ... I always stay here when I am flying in and out of Auckland. But more attention to detail would be nice ... The room this time only had one out of the 4 lights working. Beware ... Also don't rely on wake-up call ... I have booked it 3 times and only ever got one. Great stay. Comfortable, cozy. Excellent bed and large room. Booked studio for me and my 1 yr old and was offered the family suite on arrival when realised I was travelling with child. Was very grateful for the extra space. Highly recommend to everyone travelling. Easy and hassle free. I made booking on 9/2 for 19/4 night thu. Agoda successfully but when I arrived, the motel had no room avaliable. I don't know either the motel or Agoda made mistake. Forturnately, the hotel manager found another motel arround for me. check out time was 10am. I handed over my keys to the staff/manager/owner at 10.15am after staying for 3 days and she gave me a "owe me a million bucks" face. Rooms extremely warm and stuffy in the afternoon, with no aircon but a fan that is half broken, like watching a horror movie and the fan will just splash out any minute. Drawing the curtains will just make it worst as the sun will directly shines into the whole entire apartment. Very light and thin walls that gave me a bad sleep as my neighbours are having rendezvous all night. In the middle of the night, there is shouting and we found out that there's theft climbing into the building. Hotel staff is not nice. Towels in bathroom has hair and lipstick mark. We stay here on Christmas eve, can here noise after 12am. Windows are wide and not secured, so we have to close the window before sleep. We stayed here on five times during our holiday using it as an airport transit hotel and we had a pleasant stay each time. 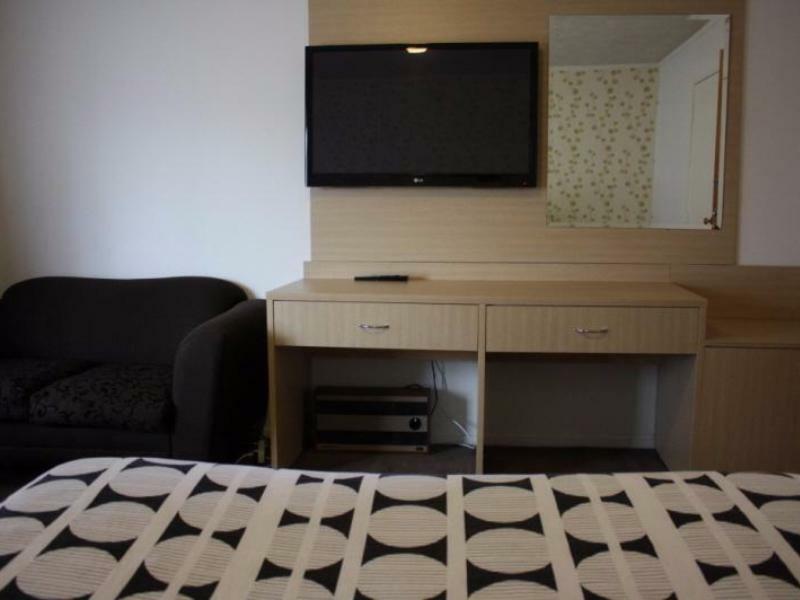 The rooms are spacious and clean and everything worked, plus large TV. 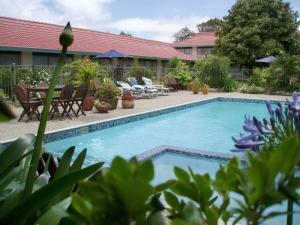 This motel was the only motel in five weeks in N Z that had trouble free high speed internet for no charge. We stayed at this motel five times during our five week holiday and we have always been pleased. 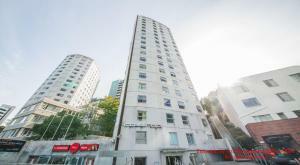 The rate is good, the rooms are excellent size and value and there is never a problem with the shuttle. The owners are Chinese but they try hard to give a good service. We have never had a complaint here. They even have a service to look after your car for a week for free whilst you are out of Auckland.